Email marketing campaigns play an important role in developing a successful marketing strategy, and if you look at any number of effective email marketing campaigns, you’ll notice a few factors that they all have in common. From creating a message that resonates with each individual segment of your audience, to analyzing the success rates of your email campaign, there are a number of steps you can take to increase your marketing campaign reach and efficacy. The following are five tips for improving the overall success of your email marketing campaign, courtesy of the best online marketing blogs out there today. Keep in mind that your email campaign is sending a message to your audience, and that you can tailor that message to coincide with prospects’ interests, behaviors and actions. Consider sending different emails, newsletters or messages to each segment of your member list, and make sure that your message includes valuable content that will make prospects more likely to engage in the message. Time is money, and when you automate your email marketing campaigns where appropriate, you will have more time to devote to being creative and developing marketing strategies to improve future campaigns. Including a call to action in your email campaign will encourage customers to do something besides just look at your message. Whether your call to action asks customers to fill out a survey, click on a link or make a purchase, encouraging your audience to take action will increase the likelihood of engagement. Even the best email marketing campaign will fail if your message fails to reach the intended recipients. Before sending out newsletters or email campaigns, read them over carefully and address any issues that may prevent your message from reaching your prospect’s inbox. Sending an email campaign is one thing, but being able to measure the results of the campaign and how it is received by your audience is a whole other ball game. With the help of an intuitive email marketing platform, you can easily see and understand email statistics like sent, openings and clicks, thereby improving the success of future campaigns. There is not a second chance to make a good first impression. Be sure to build a catchy and easy to fill opt-in to gather more subscribers. Create an uniquely designed “submit button”. The layout has a big role in attracting your readers attention. Use colors which match your logo and website theme. Care about design also in your email. There are some tools online which may help you in this matter. Remember to add social media buttons, so your subscribers will be able to share your newsletter to their contacts. Improve Your Email Marketing Campaign Today! While they may not guarantee that your email campaign will be a huge success, these five emailing tips can help elevate your open rates, improve the deliverability of your campaign, and increase your return on investment (ROI). And when used in conjunction with simple, intuitive emailing software as Mailkitchen, these tips can have a significant impact on your overall email campaign, helping to maximize your results. We understand that, as more and more businesses around the world begin to recognize the extensive benefits of email marketing to generate leads, boost sales and strengthen relationships, your prospects’ inboxes may become inundated with newsletters and email campaigns. Help your message stand out from the rest by using these five proven tips for your next email marketing campaign. Are you running a newsletter? Have you got a big mailing list to manage? I hope these few tips will help you improve your email marketing campaign today. And please, tell me if you have any other tips to add, by leaving your views and sharing your experience in the comments below, thanks! In our Education startup we just started to build our list from this year and getting good responses from different marketing outlets. We are planning to start couple of online courses and thinking of starting email marketing soon. I believe email delivery, open rate, click rate and analytical part is really very important for a successful email campaign and good conversion rate. Thanks for sharing the tips and the links you shared. Helped me a lot. Giving added value to your subscribers is a way to keep growing your list. You mentioned some very important metrics to pay attention to. and good luck with your startup! Yet another superb post from you. I started building list from the first day. Really, I was confused to select the right list building software. As a newbie amd student I don’t have much to spend. 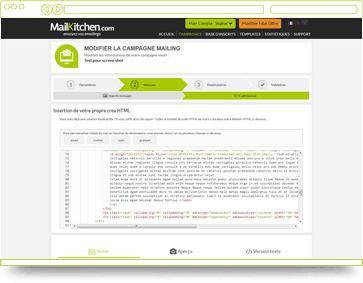 Now I am using MailPoet plugin. It is easy to use and can be easily accessed from the dashboard itself. The serious problem I faced was my mails went to Spam folder. I didn’t know the reason. After then I got to know about SMTP and using one. So no spam issues. Thank you so much to introduce the idea “spam triggering words. I wasn’t aware of it. How is your experience with this plugin? It’s important you choose a reputable ESP to avoid being flagged as SPAM. I just wrote an interesting guest post at InspiretoThrive blog about this topic. Nice share, concentrating on message and including a call to action are two most important things to consider while starting email campaign. Erik, Do you have any post on how to increase the subscribers? I am unable to improve the subscribers count. Thanks, will give it a read. Very important post and a lot of new tips to make email marketing result oriented. The subject line of an email message is more important than headline of the blog post. A normal person usually receives hundreds of emails daily. So to make him stop on an email is the heck of the task and for this purpose the only support is the subject line. If it is weaker in any term so the email remains unopened and ultimately goes into the trash can. For this purpose one needs to read as much email subject lines as possible and fully understand how much should be its lengthy, what should be its action word and how fit should an adjective in it. You need to choose a good design, with catchy colors and a easy to fill opt-in. Have a great rest of this week, Mi. Will surely come back to you with my experiments!!! I hope these tips will help you increasing the results with your email marketing campaign. To tell you the truth, since I haven’t worked in affiliate marketing, I have not been too concerned about my sign ups and emails, but this is changing now. I’m embarking on a new way of marketing my business, and I’m becoming more and more concerned about numbers and details which I wasn’t paying much attention until now. On my opt-in I do have a custom button, and I feel that really makes a difference. Soon I’m going to have a brand new pop-up with a new product on my site, and that’s when information like this one will start to be more and more valuable – as some of the things I need to make sure I’m applying..
glad to hear this article gave you interesting information to apply to your next marketing campaign. So you are going to try pop-ups, yes? I’m curious to hear how it goes. I think they have great potential, but at the same time can annoy readers. Solid tips. I think it’s more important than ever to focus on your email list so this will definitely be a post I share on my social networks. I’ve been tweaking and split testing everything I can think of for a while now and have managed to get my opt-in rate pretty high. Of course, that’s only half the job – I’ve also got to make sure people are actually opening the emails. I’ve been split testing subject lines for everyone who’s not receiving my autoresponder and seeing which has the higher open rate. Then I’ll either add it to the end of my autoresponder or send out to everyone else. It’s working very well so far. glad to hear you are a fan of A/B testing. 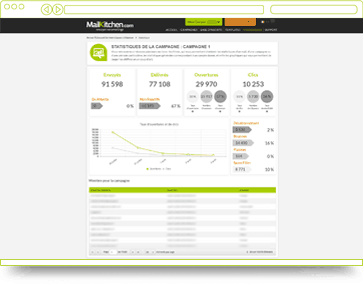 You can really improve the results of your email marketing campaign doing such tests. As you mentioned, there are some important metrics you need to pay attention to. Like opening rate, or even delivery rate. Have a good friday, James. A clear and simple call to action. It’s one of the most important things to take care of in your email marketing campaign. Have a great friday, my friend. I really appreciate the points that you delivered in this post.. I am a beginner to E-mail marketing so I need to take steps with care to grab people’s attention to my message that I am sending to them. And you elaborated each and every step very well. glad you liked the post and I hope you will use these tips to create a fantastic newsletter. Erik: I have recently set up a newsletter sign up box on my podcast site, EGO NetCast. You are welcome to subscribe to it! 🙂 One content element of newsletter will have a twist to it, related to the podcasting phenomena. I’m jumping right now to your website, thanks for commenting and visiting. I am doing OK. How are you doing? I’m doing great, thanks Martin! Things for me are improving and growing month by month. good luck with email marketing! Good evening friend, Thanks for your step by step discussion for Email marketing. All of us know that this is the most effective online marketing process but cannot apply properly because of lacking proper guideline. Your words of this article will surely create a vibe for emphasizing on Email marketing. Most amazing fact is I came to learn about the new term “spam tigger”. Thanks for introducing this term to me. thanks for commenting and keep visiting. The key to marketing, Sayid. I have started affiliate marketing and got some sells..I want to increase my sells by starting email marketing,Hope your these tips will help me lot to increase my online business. Good luck with that, Adam. Great nuggets here about your emailing! The one thing that’s really going to set it off is the Call To Action. It’s the one spark that’s going to set the fire for building your list to jump start your automated emails to start. At the same time you’re able to send a broad cast every week to your subscribers to give them even more value outside of your automated messages. One thing I’m still working on are my email messages. It is pretty time consuming with that fact that i work full time, write a post once a week, respond to comments, and read and comment on blog posts. But you know what, I know it will be well worth the effort. “The only thing I would add to this post is the importance of positioning your opt in forms. I have two, one on the side and one on the bottom. What I like to do is also add one on the tip and a pop up where it comes up upon exiting. Thanks for sharing these valuable tips Emanuelli and you have a great weekend! Call to action is an important part of email marketing. We want to complete that funnel and redirect subscribers to purchase the products and services we recommend. Of course, we don’t want to force them, but invite to take a look to resources we believe they will find interesting. Blogging is not an easy task, most of all if you have a full time job, and you need to find the time (and energy) to create new content, interact with people, market your posts, etc. As you said, overtime, it will be worth! Thanks for visiting and leaving your views, Sherman. Yup… All of these 6 points are important while starting email marketing campaign. Sometimes design also matter a lot. Yes, design matters at first glance. You are giving more valuable information to follow while emailing. Its worth to read your article. Thanks for writing a great article on emailing tips. Some of your tips are really great and I want to apply one of your tips to my blow. Thanks for writing a great article. Glad you enjoyed the post, Sabrez. Amazing tips! i have done the research about seo. After reads every blog about seo i get more interested on that, but your article is inspired with me because it is most valuable informative. Now i have cleared about marketing campaigns through email and gained more ideas about email marketing. Great to hear that, Swetha. You article is like GOLD for me, precious. Great and informational article i have ever read really good post. Thank you soo much to write this article. Thanks for the positive words, Adarsh. Glad to hear you found this post very useful!